It's downright frosty throughout most of North America right now, the perfect time to think about layers upon layers to stay warm. 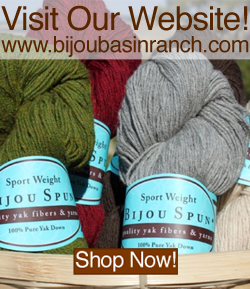 Shawls and wraps are a versatile way to keep chills at bay when a sweater just isn't enough, and there are plenty of great designs in Bijou Basin Ranch yarns to knit and crochet this season! 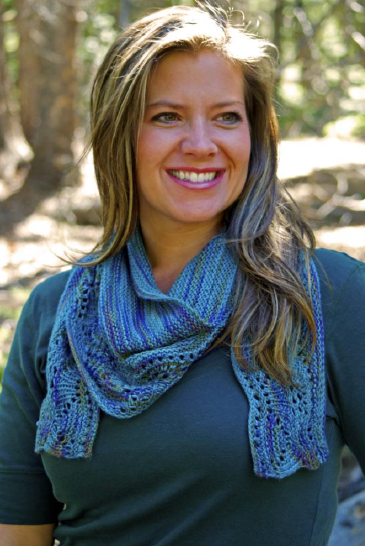 Cecily Glowik Macdonald's Allay shawl is a stunning two-color shawl which pairs Tibetan Dream Sock yarn with 100% Yak Sport Weight yarn to create a luxuriously warm triangular shawl. You'll need just one skein of each yarn to make the shawl, and the pattern is available here on Ravelry! Two colors of our angora blend laceweight yarn Seraphim are worked in Tunisian crochet to create the Velocity Shawl by Andrea Graciarena. The pattern appears in the Winter 2014 issue of Interweave Crochet and it's a great project to expand your crochet skills! If you're craving a simpler project (perhaps one you can work on at knit night or while traveling), Marly Bird's Culebra Simple Shawlette is a fun-to knit accessory you can make with just 2 skeins of Lhasa Wilderness! There are plenty more shawl designs using our yarns on Ravelry - click here to view more pattern ideas! Don't forget, our December Sale is happening now through December 24! 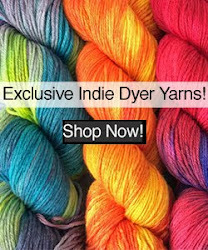 Click here to save 15% off your entire order, no coupon code necessary - plus all orders ship FREE, even to international addresses. For those of you planning to order Christmas gifts, orders placed by December 20th should reach their destination by Christmas Eve via USPS First Class (of course, you'll want to check your preferred shippers' website to confirm your cutoff dates). All orders ship within 24 hours of purchase, and we can also ship expedited orders as late as December 23 for an additional cost.